Philip Barone has been a leader in the real estate industry for nearly 30 years. Joining @properties in 2013, he is the founder and leader of the Barone Group. 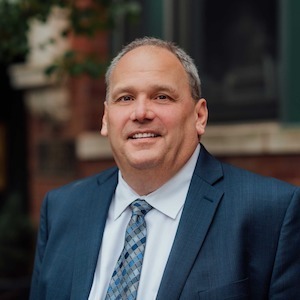 Phil began his career in real estate sales in 1989 as the 3rd generation of Realtors in one of Chicagoland’s successful independently-owned real estate brokerages, M. Barone Realty, established in 1966. Before joining Compass, Phil was in a leadership role as managing broker of Coldwell Banker’s Edgebrook office, supervising and recruiting a sales force of more than 130 agents. Phil has a wealth of industry knowledge. He continues to lead a dedicated team of Compass real estate professionals who back you every step of the way, whether you’re buying or selling. Phil says, “My advice comes by example. My grandfather and father before me always treated every transaction as if it were their own. I have followed that example, providing the level of care and attention to every deal that I would hope to receive myself.” Such principals have contributed to his success. Phil is a proud Lifelong resident of Chicago and avid Blackhawks fan. Married to his wife, Maureen for 31 years, they have four children and reside in Sauganash.